Pisa - Lucca - Florence, despite the proximity to these centers an area with little tourism. has a large double bed (170x195 cm) with fixed spring mattress and windows to the east and west side. The living and kitchen area is spacious, with fireplace, dishwasher, satellite TV, radio and stereo. 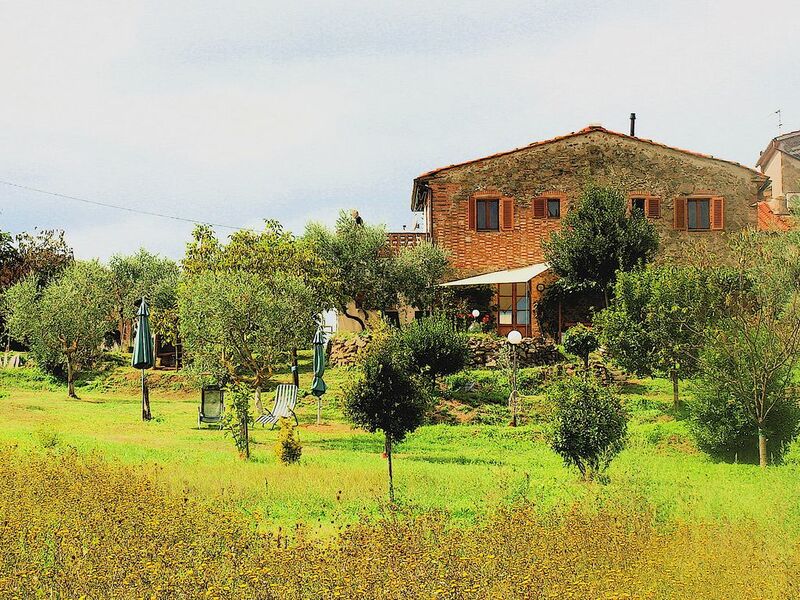 The house is about 250 years, with traditional building materials expanded and has a 3300 square meter garden with organic fruit and olive trees. There is also the protected outdoor shower with a view and the pool. This has 7.5 cbm, a water level of 1m and a filter and circulation pump. regulate (simple activity, on-site instruction). electrically operated awning with wind automatic. On the ground floor is the entrance hall, my apartment, the (wood) workshop and a shed with 2 bicycles, barbecue and garden furniture, all of which can be used.